Home » Manufacturer » Litco International Inc. 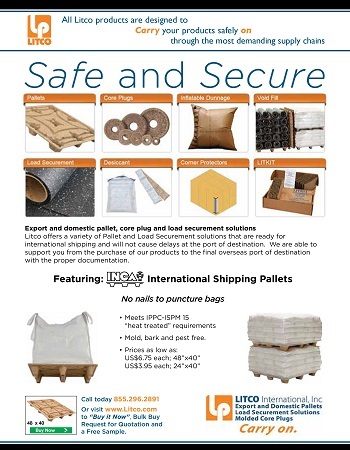 Export and domestic pallet, core plug and load securement solutions; Litco offers a variety of pallet and load securement solutions that are ready for international shipping and will not cause delays at the port of destination. We are able to support you from the purchase of our products to the final overseas port of destination with the proper documentation. Mold, bark and pest free. Prices as low as: US$6.75 each; 48 in. x40 in. US$3.95 each; 24 in. x40 in. 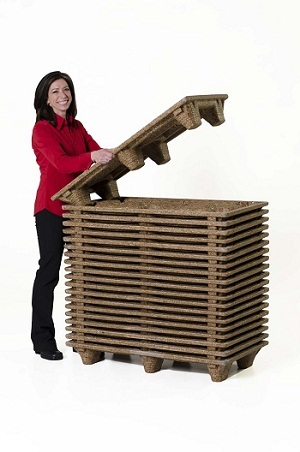 Call today 855-296-2891 or visit www.Litco.com to “Buy it Now”, Bulk Buy Request for Quotation and a Free Sample.